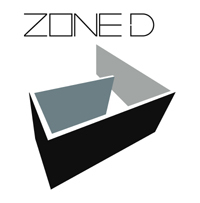 ZONE D is pleased to present the work "The Soma, the Psyche, the Spirit, the Self" by Danae Stratou in Open Plan Art Athina 2008. 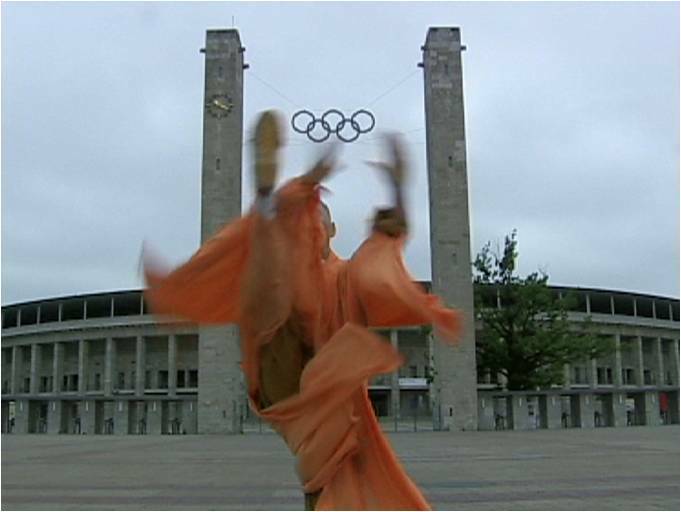 Two counter-opposed projections, mirroring one another, and depicting the figure of a Shaolin monk, in his traditional orange robe, moving in from distance. The two images differ only in that the one is a slightly more ethereal version of the other. 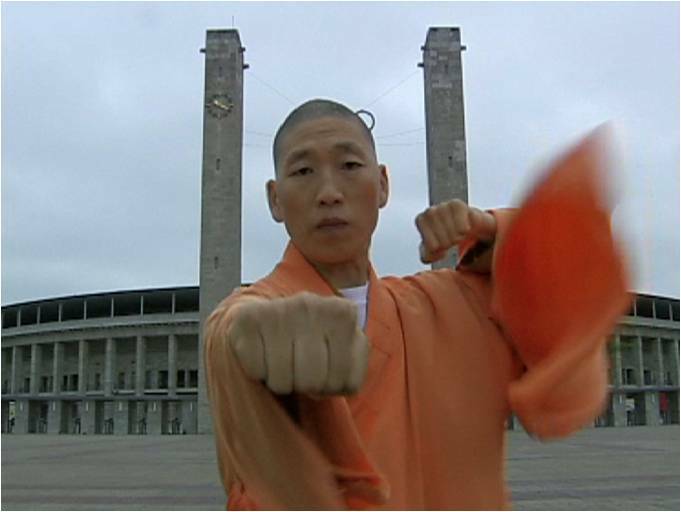 The Shaolin monk's movement is choreographed based on the Tai-Chi form. The space between the two projection screens is energized by the synchronized movements, as he approaches, slowly moving closer and closer toward his ethereal self (in the opposite screen). 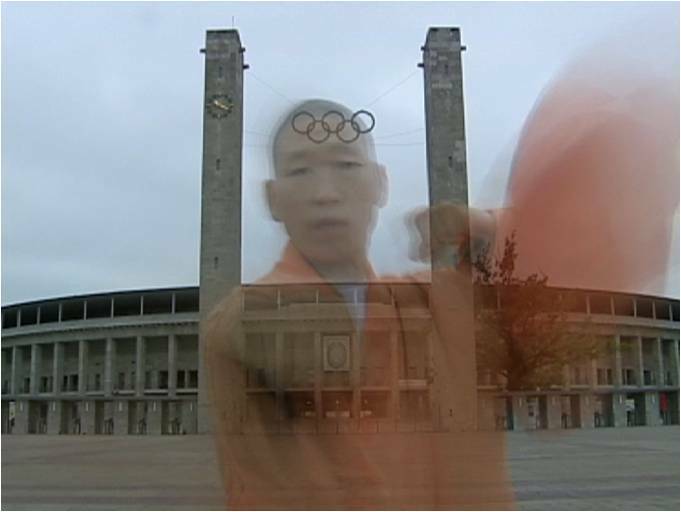 The energy builds up as the movement becomes increasingly faster, and choreography shifts seamlessly from Tai-Chi to Kung-Fu. 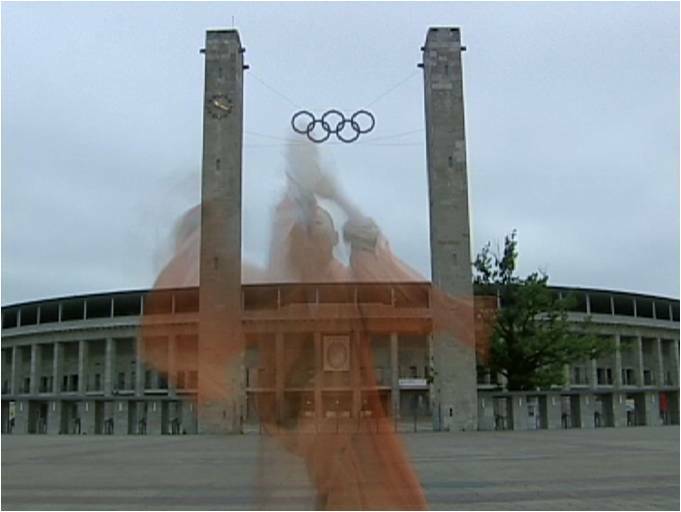 The video is shot in front of the main gate of Berlin's Olympic Stadium, circa 1936.